Ever Thought of Doing a Detox Diet? Read This First! What do you think of when you read the word detox? Deprivation? Starvation? Juicing? Reset? It means something different to everyone. In this post I am going to tell you about the science of detoxification and when and how you should do it safely so that you are not weakening your body or releasing toxins into the blood with no where to go. If you really don’t want to read the background you can skip down to the where it says “what can I do” and start taking some steps to strengthen this process in your body! The body is constantly in the presence of potentially harmful agents. Environmental compounds can gain entry through the skin, the GI tract and the lungs. These are outside (or exogenous factors). Within our own bodies we produce endogenous toxins from digestion, metabolism, tissue regeneration and various cellular mechanisms that can become dangerous if not removed form the body effectively. An example would be NH3 (ammonia) that our body produces when bacteria in the intestines break down protein. The combination of these two plus any toxins produced by our microbes is our total toxic load. In our bodies the process of detoxification is the mechanism of transforming these potentially harmful products into compounds that can be removed from our body through breath, sweat, feces and urine. When our body loses the ability to effectively do this because of weaknesses in a pathway (from enzyme deficiencies due to genetic factors or nutrient deficiencies) disease can result because these toxicants interfere with normal cellular function. So when you think of your liver, kidney or colon and you imagine this sludge of toxins built up in there, it may be a good visual but really it’s more about a process of a weakened system. People may drink olive oil and be able to poop out little stones, drink green juice for 10 days and feel lighter because they released all these “toxins” but scientifically this has not been proven to be the case, it is a matter of strengthening the mechanisms by giving your body a break and replenishing the nutrients and enzymes that aid your body in making the toxins water soluble and able to be excreted in a timely matter from the body. What are these toxins you speak of?? Here is a short list of a few of the things that come into your body that need to be dealt with on a daily basis! Heavy Metals – this can be as simple as small amounts of arsenic from rice or chicken to large amounts of lead from paint or battery exposure. Other examples: aluminum in deodorant, mercury in certain cuts of fish. Xenobotics- compounds not produced in a biological system, examples would be pesticides, phthalates in food packaging and cosmetics, PCB’s in plastic. Latrogenics – pharmaceuticals like prescription medication or OTC like acetaminophen that lowers hepatic glutathione (an important amino acid), alcohol. Microbial – bacterial overgrowth, yeast and fungi overgrowth from high carbohydrate and sugar diets. Endogenous – an example is AGE’s or advanced glycation end products which can be present in foods we eat, like charred barbecue meat, but the majority of these happen within the body. In the world we live in most humans will be carrying some toxic burden. The way our body’s handle this will differ from person to person based on what we eat, our health, our environment and our genes. (s) Children, the elderly, individuals with poor nutrition or those that are physiologically stressed will be more affected. Skeptics to detoxing will say, that’s what our liver is for! and it does a darn good job at ridding our bodies of unwanted things. And they are right…..in a perfect world. But we do not live in a perfect world, and sometimes our bodies become weakened and overloaded and this process does not work the way it should. (s) In a dysfunctional detoxification system we may see disease states like impairment on childhood development, brain disorders, cancer, heart disease, skin disorders, infertility, rapid aging, and pulmonary disease. Besides actual disease, long-term exposure to low level of toxicants can contribute to DNA regulatory interference or damage, enzyme disruption, oxidative stress, immune hypersensitivity, autoimmune diseases, brain fog and fatigue. Testing on the safety of toxins are done individually, and yes, if our bodies were exposed to one chemical in small doses one at a time our liver could easily make it water soluble and we could just pee it out but we are exposed to a multitude of things daily and it becomes more complicated than that. So in reality we could all stand to give our bodies and livers some love, so lets look at how to do that safely….. Barriers like skin protect us, but if something gets in, the body will mobilize than excrete the toxin. This happens in two phases. Phase I is an oxidation step where molecules are converted to substrates for Phase II by enzymes like Cytochrome P450 (CYP). Phase II is called the conjugation pathway and the liver adds another substance (like glycine) to make it less harmful and makes it water-soluble so it can be excreted. Endogenous toxins, diet-derived or pharmacological compounds are converted primarily by liver enzymes to more water-soluble forms in order to be removed from the body. Detoxification involves mechanisms that can make your body more tolerable to exposure, increase the conversion rate of the toxin and/or induce the excretion of the toxin. Each of these steps can be addressed by clinical interventions. Do I need to do testing? Blood urea nitrogen or the marker called BUN (optimal range 10-16 mg/dl) shows the detoxified form of ammonia, so if this is elevated you may have increased ammonia loading and conversion in the urea cycle. Creatinine (optimal range 0.8-1.10) mg/dl Increased creatinine can indicate kidney damage due to an autoimmune disease, congestive heart failure, atherosclerosis or complications in diabetes, even slightly raised should be a major consideration for evaluating toxins because this is a major route of removal. ALT/AST/GGT (10-26 u/l) – if high may indicate impaired liver detoxification capacity. Porphyrinurias in urine (This pathway to heme is highly active and any disturbance will cause a fast and large accumulation of these intermediates, these enzymes are also widely distributed inhuman tissue and are highly sensitive to many different toxins. These porphyrins can serve as biomarkers of the toxic effects of heavy metals and some drugs). Genetic testing – CYP, UGT, GSTP, NAT and SULT genes (to name a few) can show if you have a possible reduction in the clearance of various toxins or if you have reduced ability of clearing a certain type of drug. These abbreviations represent an enzyme used in the pathway to clear a specific toxin. You can read more here about DNA testing. There are many different liver support formulas. 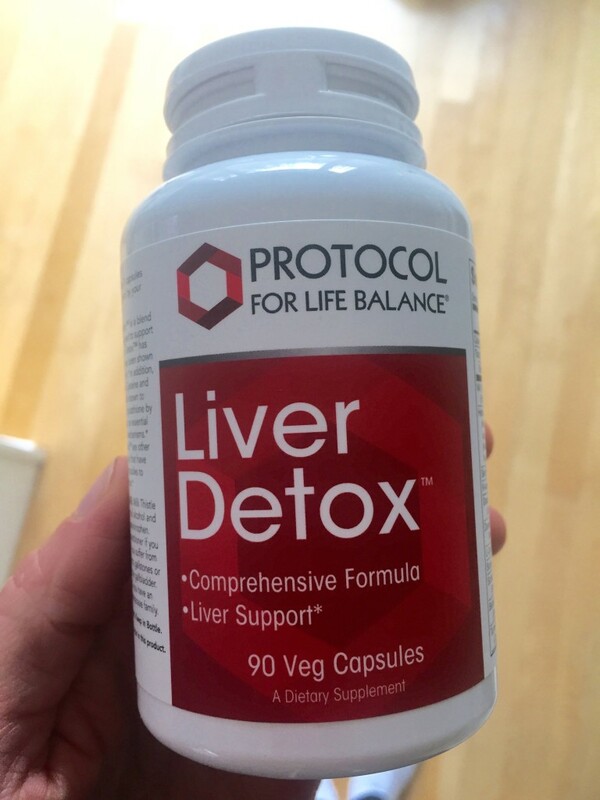 This and this (search for Protocol for Life Liver Detox) are two of my favorites. 2. Avoid and remove xenobotics (pharmaceuticals, plastic, cleaning supplies, mold, cosmetics, lotions, perfume ect ect), this may mean modifications of home and work environments. 3. Remove and repair microbial overgrowth like small intestinal bacterial overgrowth, see my post here to read more. 4. An elimination diet can provide a period of absence of food-based and endogenous toxin exposures. (s) This could be a water fast or a juice fast, but remember those with high body burden must be very careful with fasting. The absence of food can increase mobilization of stored toxins and this heightened detoxification will demand extra nutrients (including protein!). Get your nutrient levels high and your overall health in check (including pooping!) before attempting various juice diets. I would rather see someone do a fast that includes a healthy diet (like intermittent fasting) rather than juicing alone. This can limit the number of new food-based toxins entering your system and help you shed weight. Fasting may have some mental health benefits, and of course, fasting can have spiritual benefits; it is often a religious practice. But you need to be careful. 5. While reducing our toxic load you must remember that eliminating the toxins is just as important, if they are left to float around in the blood they will cause damage. Use of dietary oils may stimulate bile flow (especially olive oil) and help with gall bladder emptying. 6. High fiber diets can help speed intestinal transit time and assist toxin removal through the feces. This may help avoid re-acquisition via hepatic recycling. If you are not regular, a detox diet is probably not for you as you will not be able to eliminate the toxins appropriately. Magnesium citrate before bed can help move the bowels. 7. You can eliminate toxins through the skin! Exercise, sauna and massage can help stimulate toxin loss the increased blood flow and sweat. 8. 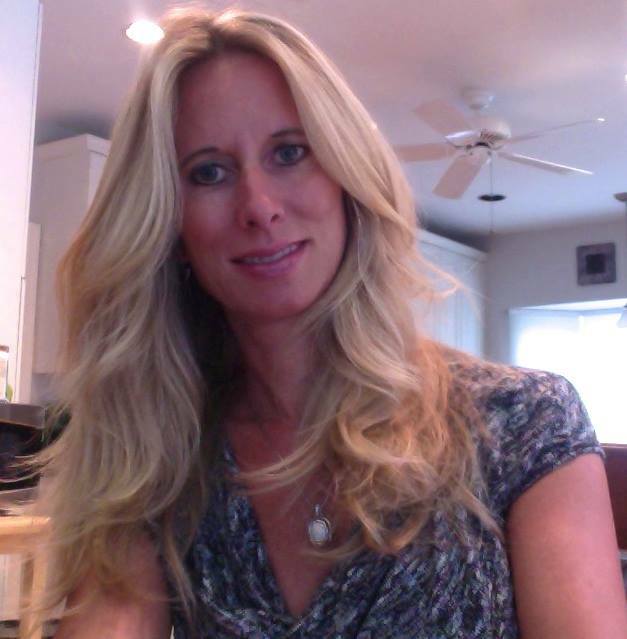 Alcohol detoxification is a whole other blog that I will be writing soon stay tuned!! But remember alcohol inhibits a lot of the enzymes we discussed above and can weaken the body’s detoxification capacity. Limit to 1 drink per day for women and 2 drinks per day for men. Do I think you should do chelation therapies, extreme juice fasts, coffee enemas, gall bladder cleanses ect ect? Before attempting any extreme measure do your research, talk with a nutrition professional and look at the pros and cons. Can you achieve the same (or better and safer) results by first attempting to clean up your diet, reduce your exposures, add in some nutrients, lose some weight? That is for you to decide. I’d like to do a post on the scientific research behind these modalities (although there is not much) but that is for another time….for now work on your overall health so your body can do what its suppose to (and wants) to do! Protein Powder: What’s the Scoop? What can I do to Protect my Health if I Drink Alcohol?